Lessons learned from McDonald's first live video; RNC's Hispanic media relations director quits; Fixing Holllywood's diversity problem; State Department acknowledges deleting archival footage on Iran talks; Uber raises $3.5 billion from Saudi Arabia. 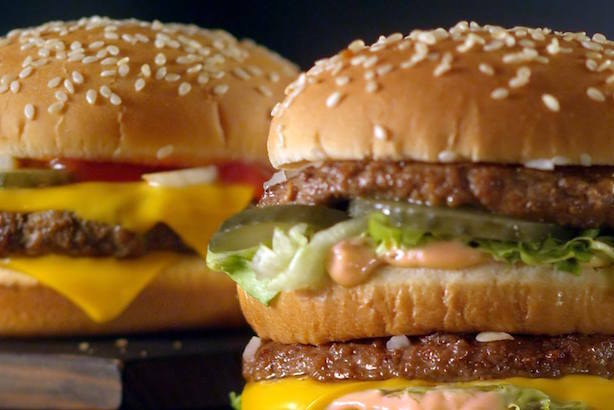 After avoiding live-streaming video platforms, McDonald’s got in on the action last week to mark National Hamburger Day. Its hour-long broadcast of a Bob Ross-like painter making hamburger art garnered 80% positive or neutral reaction from viewers, according to the brand, which said 64,000 people engaged with the video. Reportedly uncomfortable with her party’s looming nomination of Donald Trump for president, Republican National Committee Hispanic media relations chief Ruth Guerra has resigned. Colleagues told The New York Times she was uncomfortable working on Trump’s behalf. Guerra is joining the American Action Network super PAC, which focuses on congressional races. The Los Angeles Times featured four marketing and PR pros on its list of the 100 people who can fix the dearth of diversity in the entertainment business. (The Academy Awards were criticized again this year for a nearly all-white nominee roster). The newspaper listed Jasmin Espada, Brenda Herrera, Alia Quart Khan, and Ivette Rodriguez as four public relations professionals who can make a difference. The State Department said Wednesday that it deleted some video from archived press briefing footage that includes statements about diplomats’ negotiations with Iran. A State Department spokesman had earlier blamed the deletion on a technical glitch before the department owned up to it. The portion of the video in question included a former spokesperson acknowledging talks with Iran began earlier than the White House acknowledged. The ride-hailing company said Wednesday that it has raised $3.5 billion from Saudi Arabia’s Public Investment Fund, an arm of the country’s government. Some Twitter users were quick to point out the country’s draconian stance on allowing women to drive. What to know on Thursday: Veteran says she was fired from Trump University for being in the military. Six automakers to recall 2.5 million cars over Takata airbags. Clinton-Sanders race in California goes down to the wire; doubts about general election polls. Fitbit hires first female board member. Sheryl Sandberg says Peter Thiel will stay on Facebook’s board.